Convert any file within 5 pages for free. Convert PDF to Word, PDF to Excel, PDF to Images, PDF to HTML, PDF to TXT, Word to PDF, Excel to PDF, PPT to PDF, IMG to PDF. 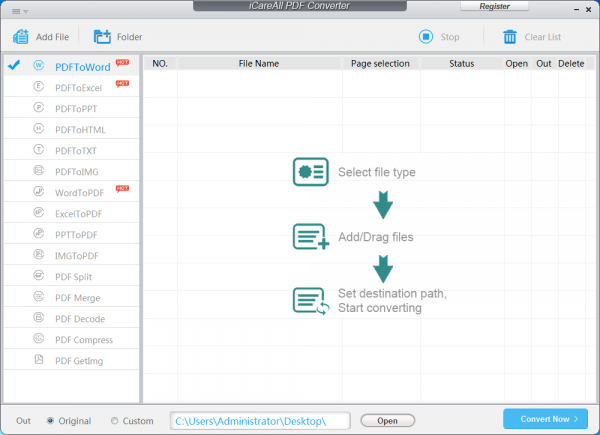 iCareAll PDF Converter priced at $39.99 for single license purchase. As part of promotional offer, the company is offering everyone with free genuine license key of iCareAll PDF Converter. Once finish download, install the software. Then follow in-screen instruction to activate the software. 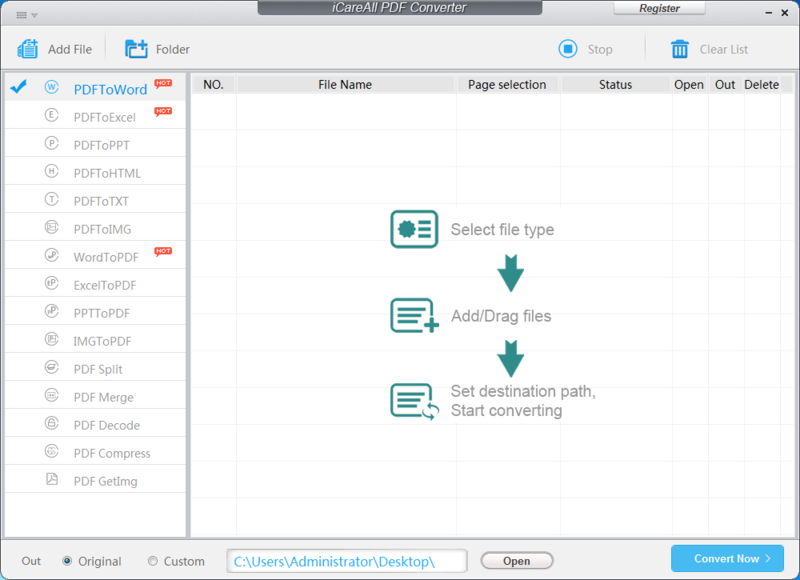 iCareAll PDF Converter support operating system Windows 10, 8.1, 8, 7, Vista, and Windows XP.